When it comes to those promotional giveaway items, our clients constantly ask us, "what kinds of products are the most popular giveaways for today's trade shows and corporate gifts?" 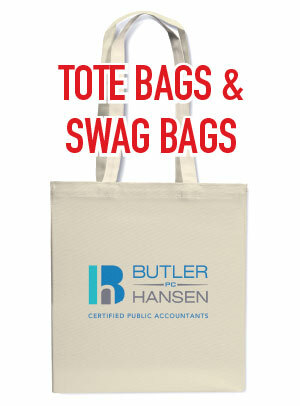 Before we answer, we just want you to picture this… You're at a trade show with your SWAG-BAG full of goodies. Now picture yourself back at the office going through all the items you received. How many of them will go directly into the trash? How many will go home to the kids? And which items will you actually keep and use? When you choose give-away items for your marketing team or a trade-show, make sure your item is the one that stays out of the trash! So, what items are really most popular and successful? Some of the tried and true trade show favorites include promotional tote bags, lanyards, pens, water bottles and sticky notes... but you really see everything at trade shows these days. There's a lot of fun stuff out there, like plush toys and office items that are designed to be fun, which probably come in handy if your booth isn't very busy. 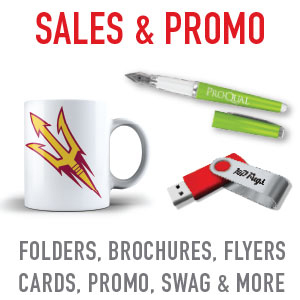 USB drives, notepads. mousepads and sticky notes are the mot used products according to our customer's feedback. It is really important to come up with a product that is conceptual and relates to both your brand and industry whenever possible. We recently had a customer tell us that at past trade-shows a lot of visitors rejected their gift offering when they tried to hand them out. They decided to go with stick note pads the following year and they said that virtually everyone wanted their gift and about 30% asked if they could take more than one! A well designed t-shirt giveaway is ALWAYS a huge hit as well.